These are some very odd “bubble” formations all clumped together at the bottom of the sloped ridge of the western part of Sisnathyel Mesa in the San Isidro Valley below Ceja Pelon Mesa. These are commonly known as “Badlands”. 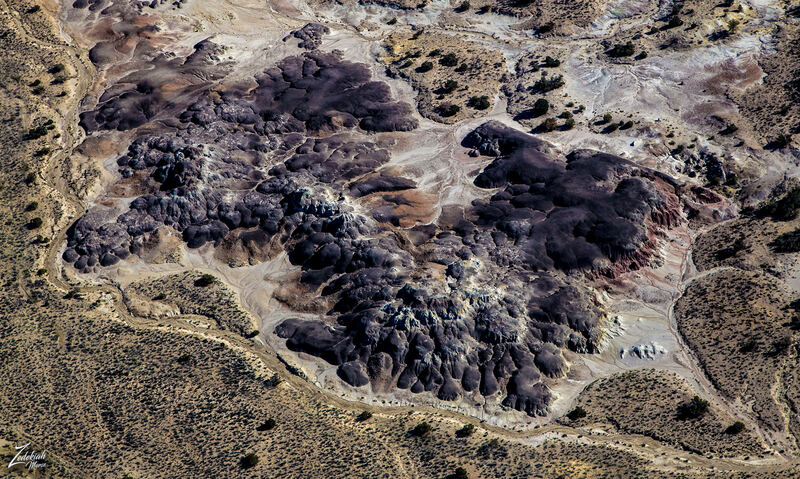 Ceja Pelon Mesa is one of the lesser badland regions of northwest New Mexico – areas of exposed, fossiliferous, sedimentary rocks, partially or totally unvegetated, containing a variety of eroded formations. This area is rarely visited, partly as it lies a relatively long way (13 miles) from a paved road, close to the easternmost edge of the First Nations Diné (Navajo) Reservation, in an otherwise uninhabited region.